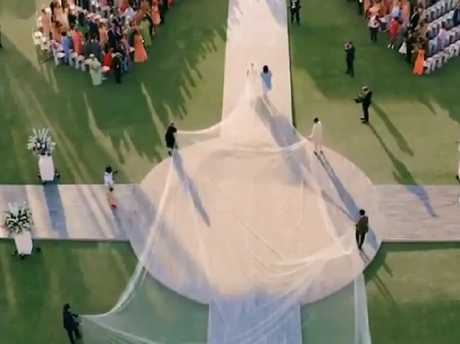 Priyanka Chopra and Nick Jonas got married in India over the weekend. 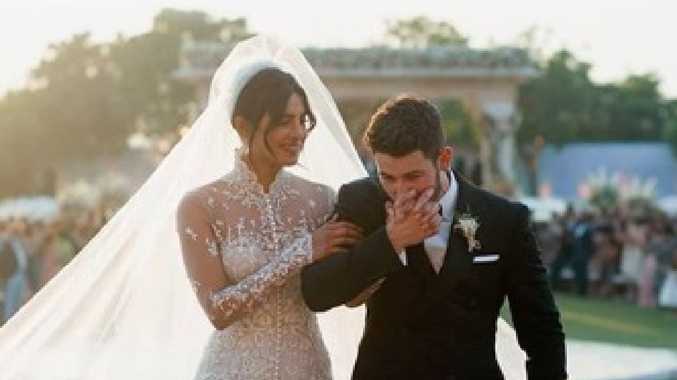 ONE wedding would never be enough to celebrate the love Nick Jonas and Priyanka Chopra share. "Being able to have two big weddings, in India, with our closest family and friends was unbelievably special," the former Quantico star told People magazine of the multi-day celebration she shared with new husband Jonas, 26. The actress’ incredible veil needed several attendants. The couple, who got engaged in July, were joined by 225 guests as they wed in a Western ceremony Saturday at the Umaid Bhawan Palace in Jodhpur, India, followed by a Hindu ceremony on Sunday. The festivities kicked off with a Mehendi ceremony and a pre-wedding dance-off. "The emotions were running high during the ceremonies, I think especially during the Western wedding for me," said Jonas, whose father officiated for Saturday's nuptials. "You know you think your whole life about that moment. Honestly, I could not have imagined it would be as perfect as it was. It was highly emotional," he continued. For Saturday's ceremony, both Jonas and Chopra, 36, were dressed in Ralph Lauren. The bride wore a hand-beaded and embroidered gown from the American designer, in addition to a 75-foot long veil, as her mother, Madhu, walked her down the aisle. The actress and her groom wore traditional attire for Sunday's Hindu ceremony. "I love that our wedding was a religious mash-up," she said. "We took beautiful traditions that we both grew up with and personalised them in a way that made sense for us. It's been incredible to find the commonalities between our beliefs and figuring out how to blend them in a respectful and meaningful way." For fans watching at home, the newlyweds kept them in the loop with videos and photos posted on social media. "Once upon a fairytale … @nickjonas," Chopra shared afterwards on Instagram.